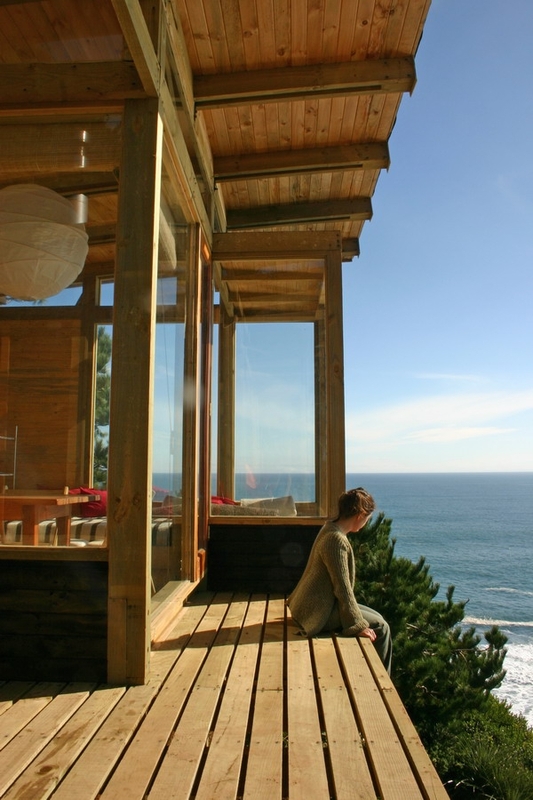 This small wood cabin set high atop a cliff in Chile is simply stunning. 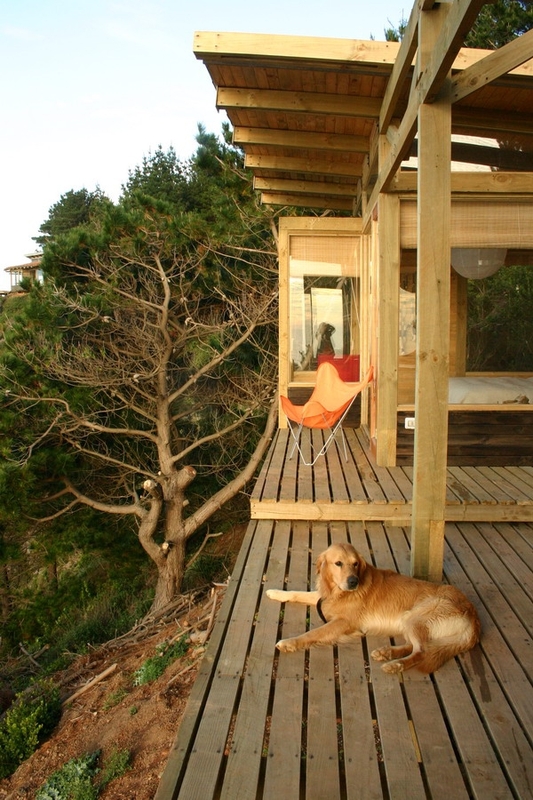 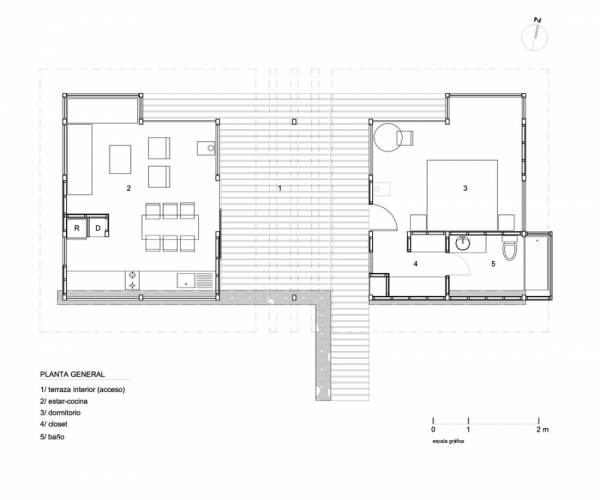 Owners Alvaro Ramirez and Clarisa Elton designed the cabin to fit in with the surroundings and also be affordable. 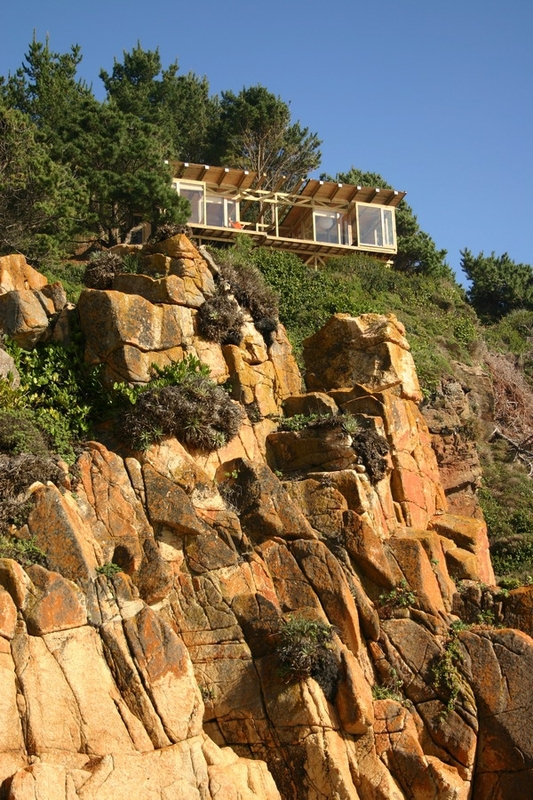 The cabin has been sympathetically designed and constructed so that it would not only fit in but also appear to float above the cliff. 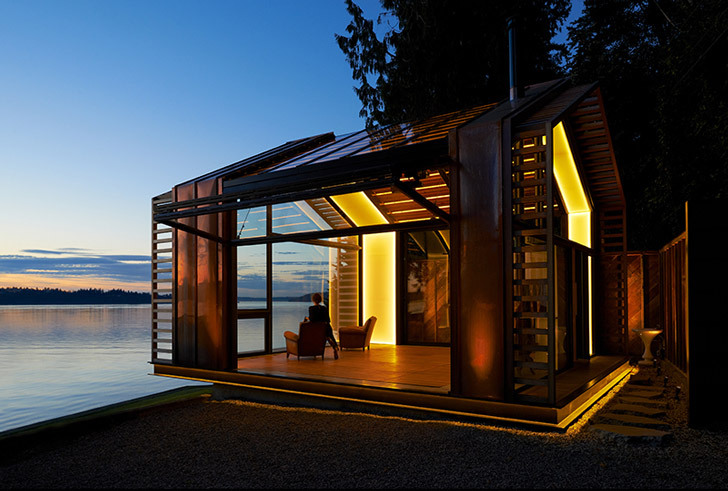 It is hard to believe that the construction of this special cabin only cost $15,000, but it’s true – local materials were used to keep the costs low. 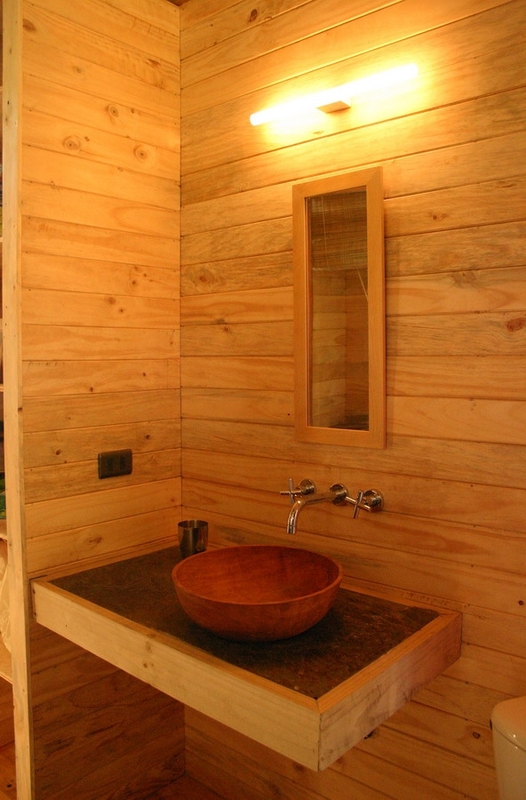 Pine from the nearby forests has been used as a building material and gives the cabin a warm feel to it. 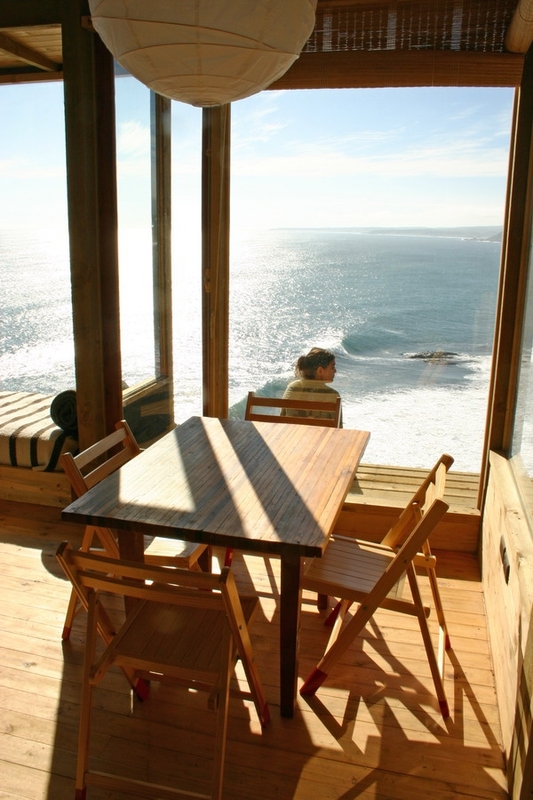 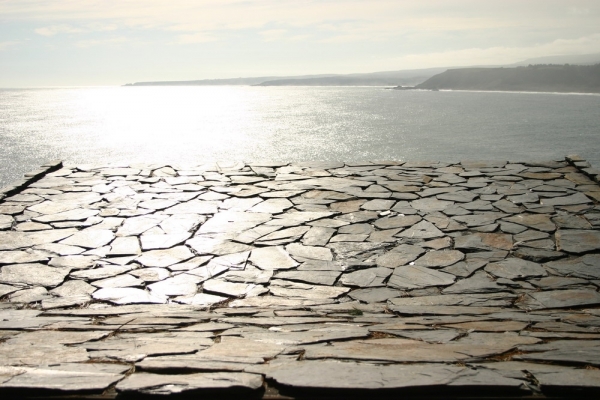 Looking out of the windows you get the most amazing, uninterrupted view of the ocean. 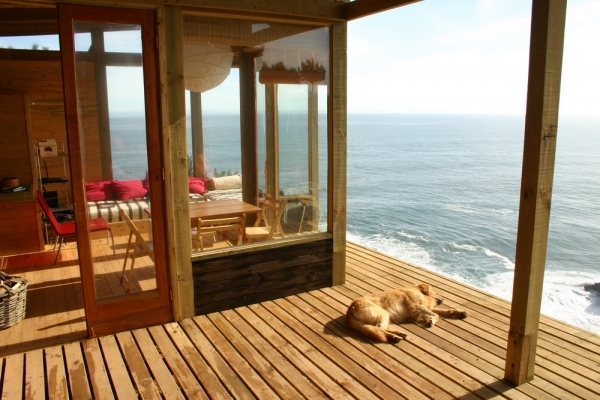 In fact you get fantastic views from the whole of the cabin and the outside decking area. 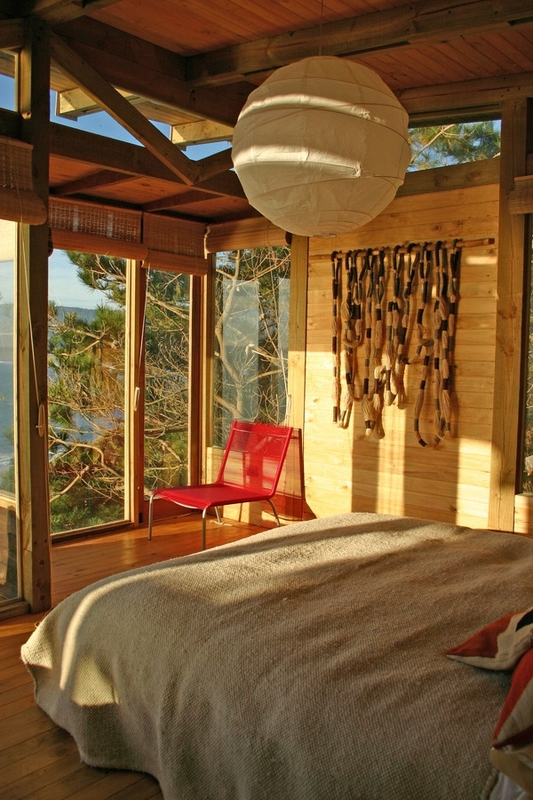 Despite the small budget and 600 square foot size this cabin is fitted with everything you could need and has an air of peace surrounding it. 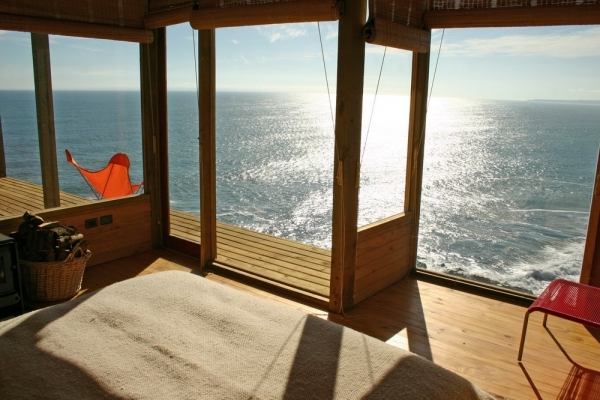 Can you imagine waking up with views like this? 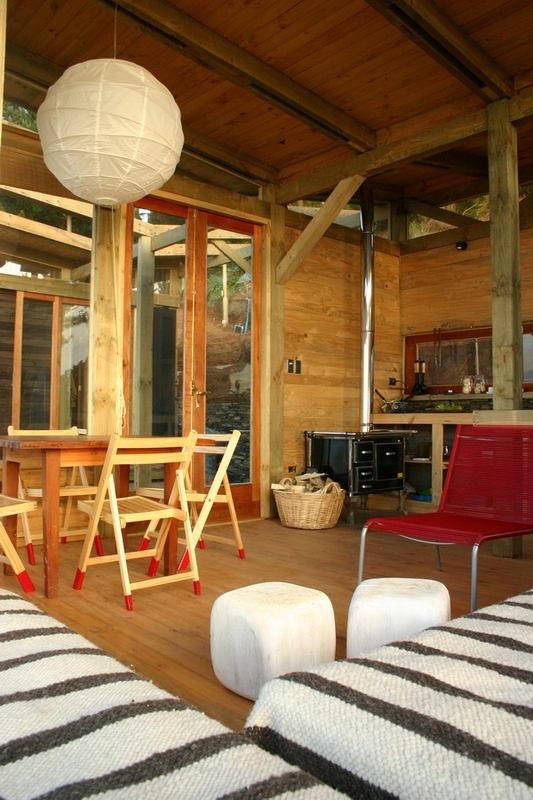 The cabin is light, airy and perfect for outdoor living on a budget. 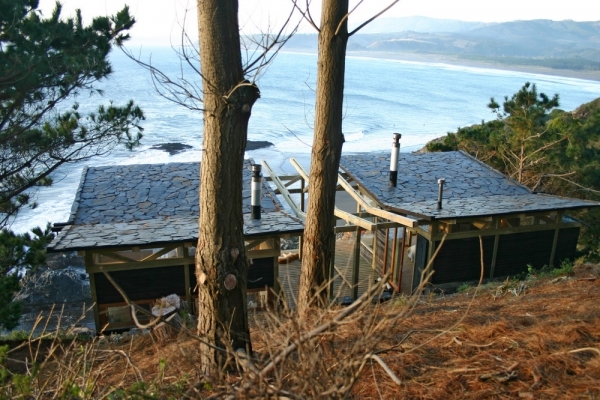 From the stone clad roof to the beautiful bathroom complete with wooden wash basin this wood cabin in Chile is divine.